A recent article in the BMA News magazine (1) –signed by Keith Cooper- focuses on a major issue affecting the medical profession, which in the words of the GMC and the author of the BMA article, is in a ‘State of Unease’ – Indeed, as mentioned in previous cardionotes in cardio-debate.com, doctors in the UK and Worldwide report increasingly higher levels of stress, anxiety and depression, as well as dissatisfaction in relation to their everyday practice. (2) A series of variables contribute to the current situation, among which long term restrictions to funding, reduced number of trainees in many specialties, increasing number of patients and limited resources appear to play a major contributory role. 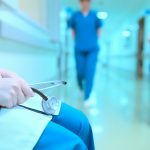 The recent report by the GMC, The State of Medical Education and Practice in the UK, highlights the fact that the “pressures on the system are having a direct impact on the education and training environment” and this of course is extremely worrying in the light of many other issues that contribute to what the GMC calls a ‘dangerous level of alienation’. As an example, Junior Doctors continue to fight in pursue of better pay and conditions and GPs in Northern Ireland contemplate a massive exodus from the NHS in view of the funding crisis facing general practice. How ‘Brexit’ will affect the situation is unpredictable at this point in time but concerns exist among health finance experts. An overstreched, under-resourced and unfriendly NHS is unlikely to result attractive to people currently employed by the system, let alone to new generations of medical practitioners. Moreover, financial challenges to medical research are likely to result from Brexit and this will contribute to alienate medical practitioners further. There are very real, tangible, issues that need immediate attention by the Government and these have been highlighted in the GMC report recently. Considering burnout –which affects over 50% of practicing physicians according to USA data- as a disease or a problem of a given individual is a wrong approach. Both the individual and system need to be tackled simulataneously and efficiently, as proposed by Epstein and Privitera in a recent article in The Lancet (3). The risks derived from the current situation of the Medical Profession cannot be ignored further if we are to avoid an imminent collapse of the NHS. Epstein RM and Privitera MR. The Lancet 2016. Published online September 28, 2016.